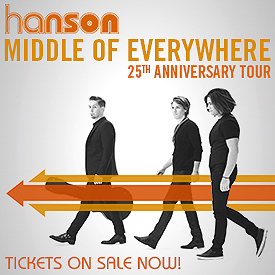 This is the first of my five concert reviews from the Hanson week in London, June 2011. We were a big group of girls from Sweden who travelled together and stayed at the same hostel. On the first concert day we met in the line outside King’s College, where we patiently waited to get our tickets and The Story-VIP card. We made time pass quickly by dancing… After many long hours it was finally time for Middle of Nowhere!